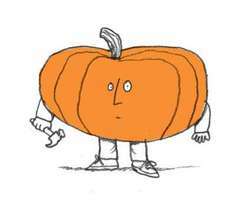 The PopSci How 2.0 Blog - Our New Instructables Contest: DIY Halloween! Our New Instructables Contest: DIY Halloween! Halloween might be more than a month away, but we all know a successful 'Ween requires planning; and, occasionally, incentive. Just in time for the holiday, we're joining forces with our friends at Make and Instructables to bring you a Halloween contest with enough prizes to rival a night's worth of candy-stuffed pillowcases. Pencils ready? Here's the deal. Throw us your most ghoulish trick or ingenious costume or gruesome treat, via Instructables. A skinned chimp? Yes please! A jellyfish hat? Perfect! Conjoined twin mice? Um, ok. Since there are four categories to excel in, there's plenty of opportunity to wow the judges. Handy with a knife? Enter the Hack-o-Lantern Contest. Brandish a mean sewing needle? Try the Costume Contest. There's a category for food and another for decorations, gadgets, and more. In return for your efforts, you'll be handsomely rewarded with yet-to-be-decided (but undoubtedly fantastic) prizes. Best get a move on, though. The contest ends 11:59pm Sunday, 4 November 2007 (a full weekend after Halloween, for you procrastinators). To see the full details and entry instructions, check out the official contest page at instructables.com. You're still reading this? What are you waiting for!? Go! Make! Instruct! See you on Halloween. We'll be the ones downing witches' brew in the corner. Bwahahaha! I enjoyed your How2 section. We also have some great DIY and How-to at our websites... www.toiletology.com and www.fixitips.com. Come check them out. Thanks for the great site and info.